If you are new to Then She Made... you may not know about our year long, 12 piece Nativity set we are making. Once a month I post a new tutorial for one piece of the set. It all started because last year, all year long, my family anonymously delivered one piece of a Nativity set to a few different families we knew. 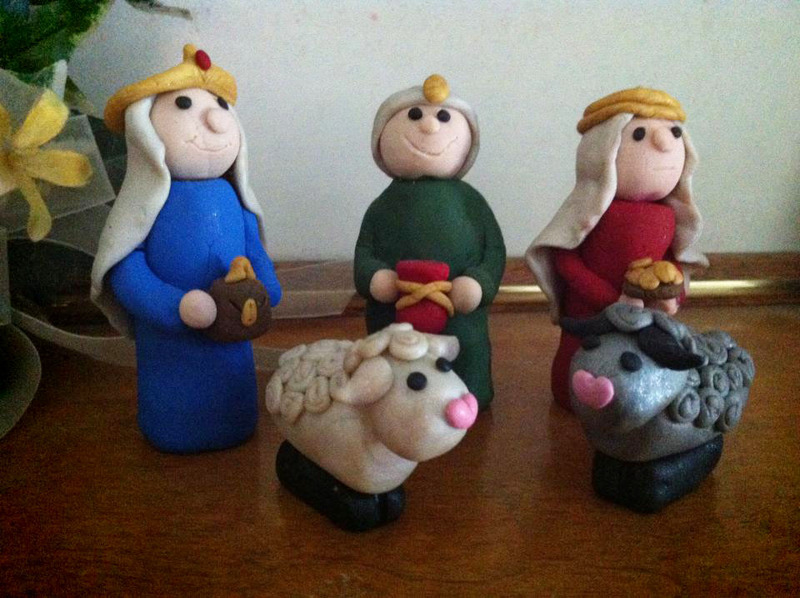 Each piece was made out of clay and at the end of the year each family had a full, 12 piece Nativity set. It was completed just in time for the Christmas season. You can read more about here: The Nativity Experience and also a Q & A about the project here: Nativity Experience Q & A. Plus, you can go back and find all the individual tutorials on the tutorial page. They are listed under the Christmas section. Anyway, my point in today's post. I know several of you are following along and doing these tutorials. 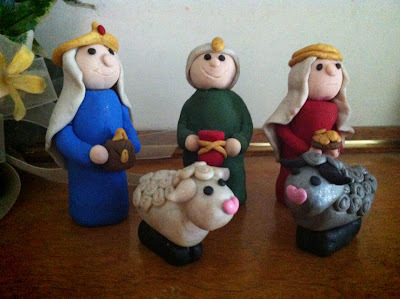 So far we've completed, 3 Wise men, 2 Shepherd, and 2 Sheep. Before we move on to the Camel, which is coming next, I thought it would be cool to share with you a few pictures that have been sent to me from readers who are making their own sets. I know more people are doing the sets but these three lovely ladies sent in photos. (thank you!) And, here's a cool idea. Tracy K is making her's 1/2 size. All her little guys are smaller and she is making 25 sets - wow, right?! I was pretty impressed with that.